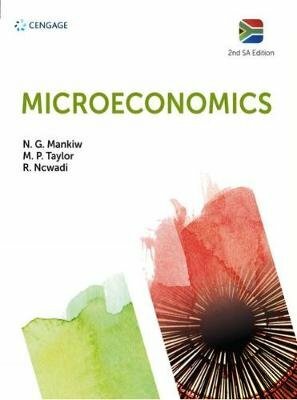 This South African edition of Microeconomics is essential reading for all students taking introductory economics modules on undergraduate courses throughout South Africa. It is also ideal for use with the microeconomics component of MBA courses. The text contains updated case studies, set against a South African context to illustrate how the principles of economics relate to your life. The news articles are based on news events in South Africa along with questions to help you apply your knowledge and to build your understanding. This text is designed to give you the confidence and ability to think like an economist.